Melatonin as a regulator of endogenous diseases: the role of autophagy in psyconeuroimmunology. Online purchase for health experts. Pharmacies, drugstores, medical practitioners and other experts in the healthcare industry. Melatonin ( N-acetil-5-metossitriptamin )m is a derivative of serotonin, which is syinthesized by tryptophan. Melatonin is secreted by the pineal gland in all the mammals, included mankind and it was isolated in 1958 by a group of scientists led by Aaron Lerner. Moreover it is present in the evolutionary processes of many plants and unicellular organisms. Recently, it has been studied and described an extra pineal melatonin production, precisely in the retina, in the gastrointestinal tract, in the bone marrow, in the coclea, in the Harder gland, in the skin, in the brain, in the pancreas, in the thyroid gland, in the placenta, in the endothelia cellule and leucocytes. Its wide synthesis specter denotes the different physiologic functions that is able to regulate. 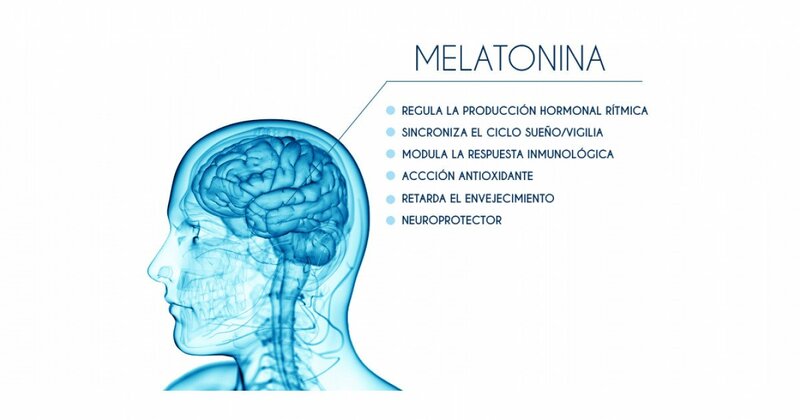 Melatonin primary and most well known role is its involvement in the regulation of the sleep-wake rhythm. By the way, every day new functions and potentialities of melatonin are discovered as it has been proved to be an effective immune-regulator, antioxidant, plays anticancer actions and contrasts the free radicals, and as a consequence, a possible therapeutic agent in the neurodegenerative cardiovascular diseases and endocrine disturbs. Few well know, is the autophagy aspect which looks a lysosomal degradation process that takes place as an answer to a deprivation-hunger situation, as many other situations that generate a real stress, understood as the one that has brought the human patient in his/her evolution ( sudden temperature changes, infections, lack of water and food, violent conflicts, fights), or when it has been necessary to eliminate damaged molecules or proteins, recycling their components. Talking about autophagy it is fundamental to mention the 2016 Nobel Prize for Medice obtained by the Japanese Yoshinori Ohsumi, who has developed autophagy mechanisms, justifying the processes of cellular degeneration and recycling. Autophagy is an essential process for cellular renewal. The main contribution of this work to science consisted in the identification of the essential genes for autophagy and the discovery of the protein role in the formation of autophagosomes. To understand it correctly, an autophagosome is a container within the cellule, (created by the fusion od a lysosome with its enzymes and a protein capsule) where the degradation of the material “in excess” takes place (cellular organelles which have stopped to work, bacteria, external particles etc). The disturb of autophagy can cause genetic diseases as myopathy, the Crohn Disease, Alzheimer, problems linked to the Parkinson, type II diabetes. Recent studies carried out from the collaboration between pharmacology and toxicology research centers of the Harvard University USA and Mashhad Iran, have revealed that melatonin can regulate autophagy processes in vitreous and live studies. It has to be mentioned the role of melatonin as a target in the activation of the autophagy mechanism. Recently, some healthy tendencies have been proposed in the market like the book “ Glow 15”, written by Naomi Whittle, which includes the realization of a 15 days program, made up of 16 hours fasts three times a week, reduction of the protein count for a day and consume of carbohydrates at the end of the day with intense periods of workout. It isn’t known yet how much the physical training stimulates autophagy in an optimal way, but it is known that moderate intensity is more effective than low intensity. Since some years melatonin has been proposed as a coadjuvant in the disease associated to aging, but above all to fight the oxidative stress, as the ictus and the Alzheimer illness. The increase if the population longevity entails an increase of the risk of suffering from neurodegenerative diseases, which share pathologic mechanisms like the oxidative stress. Moreover, the level of melatonin decrease with the age in a more marked way in these illnesses. It is necessary to remember that melatonin is endowed with neuroprotective properties in the EA and ictus models. Dr. David Chaim Rubinsztein is a member of the Royal Society (FRS) and a member of the Medical Science Academy (FMEedSci). He is currently vice director of the Cambridge Institute for Medical Research (CIMR) and manages the Alzheimer Research UK Cambridge Drug Discovery Institute. He is molecular neurogenic Professor at the Cambridge University and Professor at the Dementia Research Institute, and we were so luck to receive his visit and experience some days ago in Bilbao. The neurodegenerative diseases emerge when specific proteins which are not correctly organized gather. The aim of the research of Prof Rubinsztein is understanding the link between these diseases and autophagy using different animal models and in the possible ways to accelerate this process to eliminate the toxic proteins and so avoid the development of neurodegenerative diseases as Huntington, Parkinson and different forms of dementia. In conclusion, I am convinced that when we talk about Melatonin, considering everything that is “rumoured” in the scientific world about it, we observe it with admiration, taking into account all the possibilities that it is offering us to improve our future in the treatment and prevention of pathologies connected to aging, and for this reason the research work has just begun.